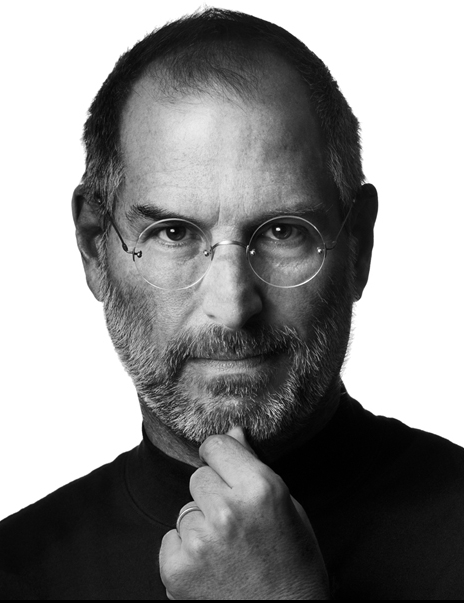 This famous portrait of Steve Jobs was taken by Albert Watson in 2006. It's a great backstory, told by Albert himself. 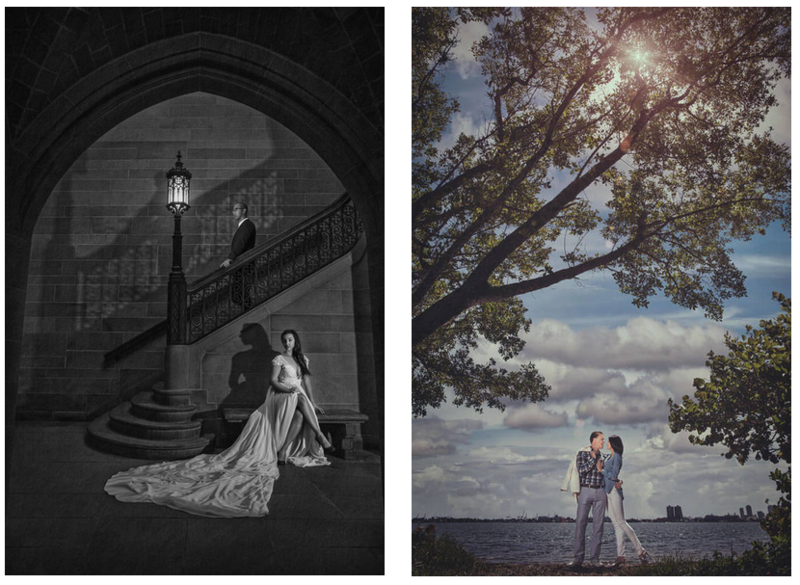 Profoto has the complete post on their blog under the heading of "Inspiration." There's one point I love making with this image. Albert had minimal time to get the shot. He captured one of the most recognized iconic portraits of this century because he's an artist who's the very best at his craft. He never compromises on quality! Profoto never slows down in designing and building great lighting equipment, or their focus on education to help artists raise the bar on the quality of their images! The story behind the Steve Jobs image is only a fraction of the inspirational material you'll find on the Profoto site. ​“I took a chance,” recalls Albert. Given an hour of Jobs’ time, he told the businessman he could get the job done in half the time. “He looked at me like I had given him a Christmas present.” Thirty minutes was golden in his busy life. Need Help With Lighting? There's a New Sheriff in Town! Profoto has always been focused, (pun intended) on education and helping photographers raise the bar on the quality of their images. On just their YouTube channel alone there are hundreds of videos introducing you to dozens of educators, different techniques and products, but what if you need more in-depth support? Meet the "new sheriff in town," the Profoto Academy, currently featuring courses by Yervant, Lindsay Adler, Sandy Puc and Hannah Couzens. You have your choice of taking the complete series at a substantial savings, or just watching the specific courses you need. Just click on the banner at the top to check out the current lineup of outstanding educational programs. 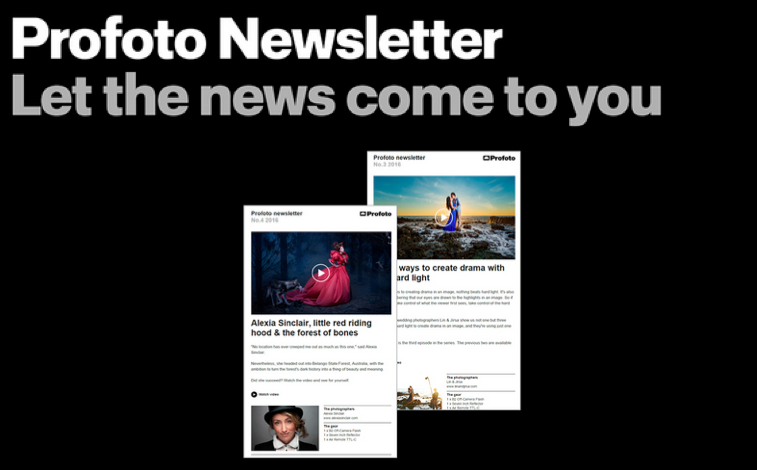 And, to find out more about Profoto's new A1 along with the rest of their most popular products just click on the product thumbnails below! Profoto doesn't just build outstanding lighting equipment, they're helping to "build" some of the finest artists in professional photography! Together with the launch of the new A1, ("the world's smallest studio light") Profoto added another dimension to education with their video and blog series, The World is My Studio. Eight artists are featured in the series and what I love about each one is our ability to watch them work. It's surprising how much you can learn following an artist's thought process and then seeing the results. Plus, the videos are all short, just long enough to share new ideas and introduce you to another artist you should know. If you haven't checked out the new A1, it's time to visit your Profoto dealer. Just click on the link below. And, to read the blog post that accompanies the video below, just click on either image in this post. Fabian Wester, based in Stockholm does a terrific job of taking you through his initial use of the A1, right down to adding a small softbox and in another image, demonstrating how he can adjust the beam of light. 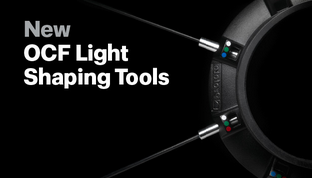 Profoto doesn't just build great lighting gear - they're helping to build better photographers and more powerful images! What I love about these Profoto videos is always the same - the amount of solid content shared, which can help you raise the bar on your creativity and skill set. This video was posted to YouTube last month. It's a beautiful profile of one of photography's most talented artists, Albert Watson. I first met Albert in the late 80's when I joined Hasselblad USA as president. He's an incredibly accomplished artist, and this video does a fantastic job of showing his thought process that goes into virtually every project. 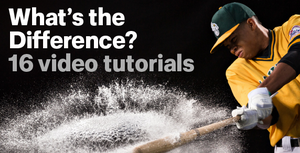 As you watch the video, pay close attention to his approach to lighting, creativity, and the interaction with the subject and members of the crew. There's so much great information in this ten-minute film. Being remarkably easy to use, delivering consistently outstanding performance spiced with TTL and HSS it allows you to freeze split moments in time and capture powder and liquid in unprecedented detail and clarity. Interested in finding out more about the Pro-10? Just click on the product thumbnail to the right. Take the time to watch this video. Albert Watson is a true inspiration. While some of you might not actually know the diversity of his work, you've been looking at his images for many years! These are gallery screen shots.Click to visit his galleries. Obviously, Profoto USA is an SCU partner, but I appreciate the relationship for a few different reasons. First, I love and respect their products. Second, I go back a long way with so many of their team. Third, and the reason I like to share content from their YouTube channel, blog and website is the amount of great information they share. I LOVE this video from Two Mann Studios in Canada, because of what you can learn watching them shoot. 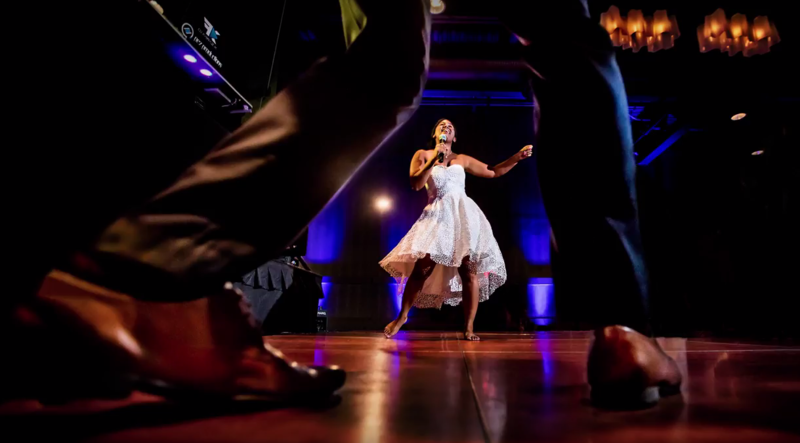 They're on the dance floor in a typical wedding environment, and as they discuss, it's one of the most challenging shooting situations. In fact, I'm convinced wedding photographers have the toughest job of all the specialties. We're going to be able to make the light we want to make in more situations than we're accustomed to! 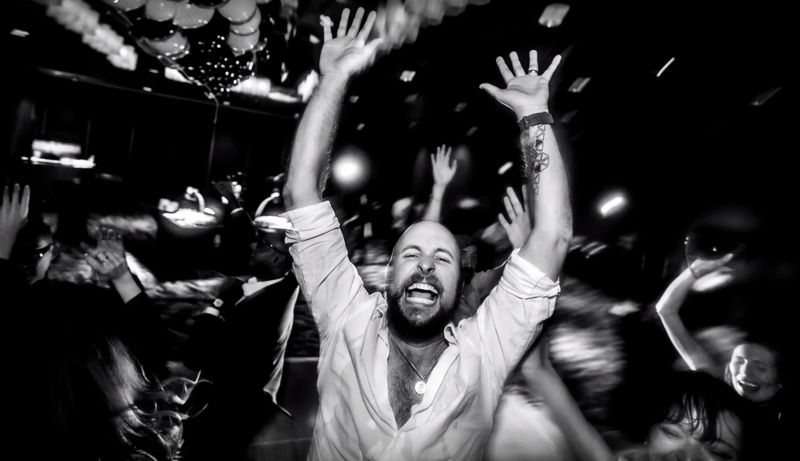 A wedding photographer has virtually no control over anything during the event. From the venue to the emotions of the day to the expectations of the bride and groom as Bambi Cantrell has said, "It's not a time when logic reigns as king!" 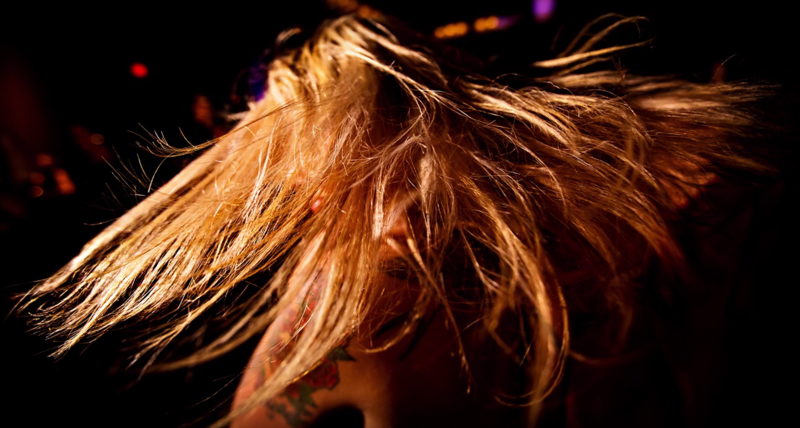 One of the biggest challenges is in the lighting, especially on the dance floor. Erika and Lanny Mann take you through one aspect of a wedding and in turn capture images that make you feel like you were there. And for those of you who only see this as an infomercial, you're missing the point! There's so much you can learn and so many ideas on expanding your technique just by watching how they shoot - and, it's all in two and a half minutes! Interested in finding out more about Profoto's new A1? Just click on the thumbnail to the right. Looking to see more of Two Mann Studios' work? click on any of the screen shots I grabbed from the video! As Erika says near the end of the video, Profoto's created a game-changer! Images copyright Two Mann Studios. All rights reserved. A Day With Sal Cincotta (all in 5 minutes) - "The World is My Studio"
If there was a way you could shoot virtually anywhere, and have complete control over the lighting you wanted every time, wouldn't you want to know about it? Just recently Profoto introduced the new A1, the world's smallest studio light. I shared the trailer for good buddy Sal Cincotta's video earlier in September. However, if you haven't seen Sal's "full-length" film, there's some great content here. Besides Profoto's never-ending focus on education and helping artists raise the bar on their images, I love the quality of their videos. Regardless of your photographic specialty, there's a lot you can learn just by watching Sal in action. And, if you know Sal, the world has ALWAYS been his studio! But, now with the A1, he's got even more flexibility and room to let his creativity and mind's eye visions soar! Profoto has created a complete product line that allows artists to control the light, no matter where they are or what time of day! If you haven't seen the new A1, along with the rest of the Profoto family, it's time to visit your local Profoto dealer. Just click on the A1 to the left to find the dealer nearest you. Check it out and you'll immediately understand why so many of today's best photographers are creating some of the finest images of their career with Profoto's "game-changers!" If you've met Sal Cincotta or heard him speak at any convention then you already know he doesn't mince words. He couldn't be more direct when he likes a product or for that matter when he's underwhelmed! While the title of this video a few months ago was "ProfotoB1X Review," by the usual standards of a review it's pretty one-sided. But that's what I love about Sal - he calls it like it is. In the short video below, Sal talks about the features MOST important to creating stunning portraits. And again, if you know Sal, you know there's no room for compromise on the quality of an image or the effort he puts into every shoot. Sal is no stranger to SCU and in fact, we did an episode of "Why?" together last February. And most of you are no stranger to Sal! Founder of Shutter Magazine and ShutterFest, I'm proud to have been involved in both since the very beginning. If you haven't taken Profoto's new B1X out for a test drive, just click on the banner below to find a Profoto dealer or rental house, anywhere in the world. Isn't it time you found out what all the buzz was about? I wanted to share this post from Profoto's "Inspiration," because it's one of my most favorite to date. Written by Seth Chandler, he does a terrific job of asking just the right questions, and Elisabeth Hoff brings an issue to the surface so many artists forget about; the art of making your clients feel terrific! 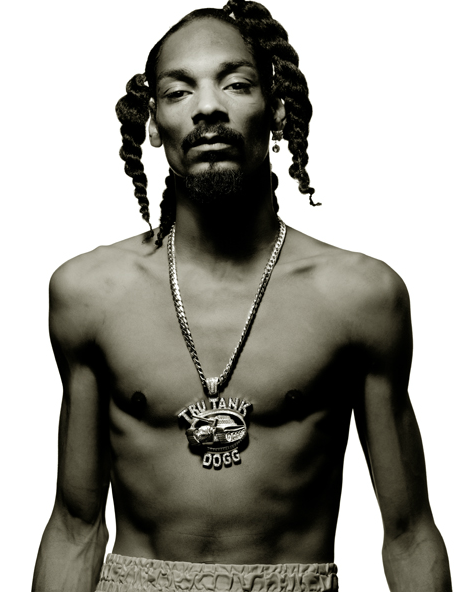 "I work on making my subjects feel fantastic and like they can’t do anything wrong. 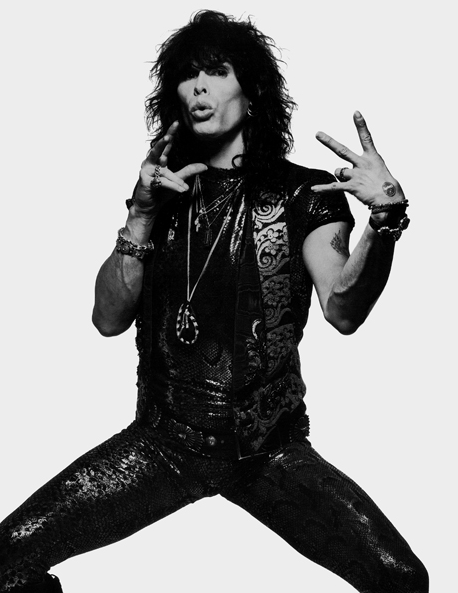 I never use negative language, I just nudge people in the right direction." I chose two of my favorite images from the post to kick things off above. So many of you photograph dance schools, but I've never seen images that simply feel this much fun. You can see it in every child's expression. It's a short interview, and I hope you'll take the time to read it all. Elisabeth isn't just sharing thoughts on her growth as an artist, but giving you a short lesson in communicating with your clients. Check out more of her work with a trip to her website with a click on any image below. 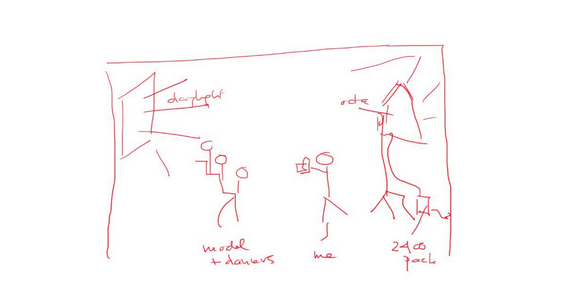 And, check out Profoto's Off Camera Flash System. Elisabeth talks about how she's using the B1 and combining it with natural light to get an even better result. ​Born in Norway, Elisabeth spent five years of her childhood sailing around the world aboard her family’s sailboat. After graduating from university, she attempted to become the first woman to row solo across the Atlantic. After a near-disaster at sea, she realized the importance of making the most of now and decided to pursue he lifelong dream of becoming a photographer. ​It’s easy to become obsessed with technology. But if there isn’t a performance, it won’t be a great picture, no matter how perfect the exposure. The subjects have to share a bit about themselves or I’m not going to get the result I’m looking for. Chris Knight's Stunning Portraits in "Homage to Hollywood"
Click to link to the story and all the Profoto products used to create these images. At least once a week I take a scroll through Profoto USA's website. I'm always amazed by the amount of content being shared. One of my most favorite sections is under "Inspiration." In this profile I ran across this morning, written by Jens-Linus Lundgren-Widén, Chris Knight is shooting cinematic portraits in a story called "Homage to Hollywood." There are too many great images to share here, so just click on any image to see all the photographs and read the complete story. Check out more of Chris Knight's work with a visit to his website. The minute you land on his home page, you'll be hit with stunning portraiture by an artist who NEVER compromises on the quality of his images, or his gear. What I love about these inspirational stories is the way Profoto is sharing outstanding content. Each story introduces you to another artist. At the same time, they're sharing creative ideas to help you build a stronger skill set of your own, and helping you understand how much depth is in their accessory line to add to your creative tools. The images are beautiful, but for me, I love the behind the scenes components, including the short video below. Chris shares a lot of great content in this video as he takes us through all the ingredients to create the images. Then the article fills in the holes with images of the set Chris built, along with links to the various components. Profoto isn't just building some of the finest lighting gear in imaging today, but helping to build some of the best artists and in turn, stunning images. 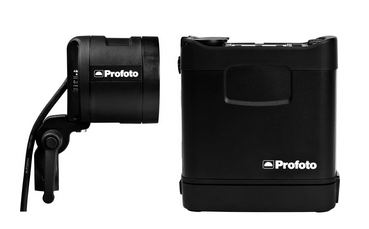 Check out Profoto's D1 along with their Off Camera Flash Systems with the new B1x and B2. It's a quick click to their website, but even better to stop in to a Profoto Dealer or Rental House for a "test drive." Just click on the link below. I've been sharing these Tiny Talks videos all year long because they provide so much great content in a short amount of time. And, they feature some of the most creative and talented artists in the world. While the common denominators are their passion and love for the craft, there's a third ingredient, the "game-changers," Profoto's Off-Camera Flash Systems, the B1 and B2. 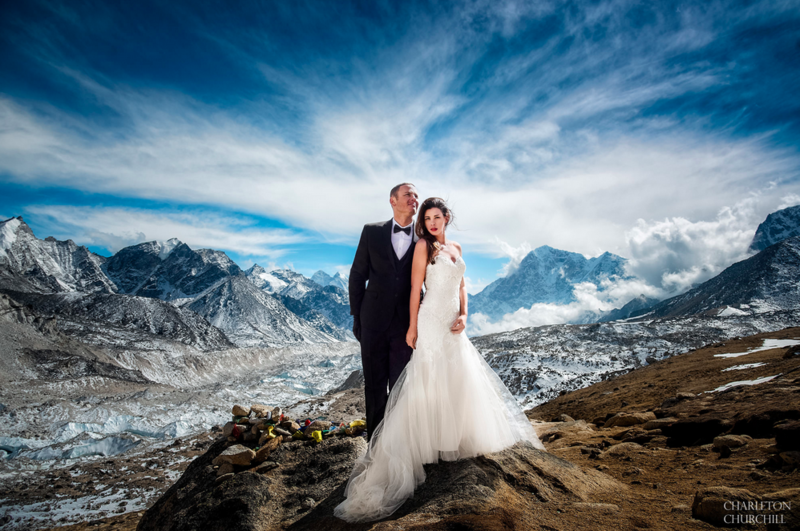 Charleton Churchill is in the spotlight this week with adventure weddings. While some of you might think every wedding is an adventure, Charleton redefines the meaning of the word! And, if you think about it, Profoto lights have raised the bar on so many different mind's eye visions he's now able to capture. He's shooting with the B2 system. Just click on the image to the right to find out more about it and then visit your local Profoto dealer or rental house. Check out more of Charleton's work with a visit to his website. Just click on any of his images in this post. He's definitely an artist who's combined his love for travel with his passion for adventure and his clients.